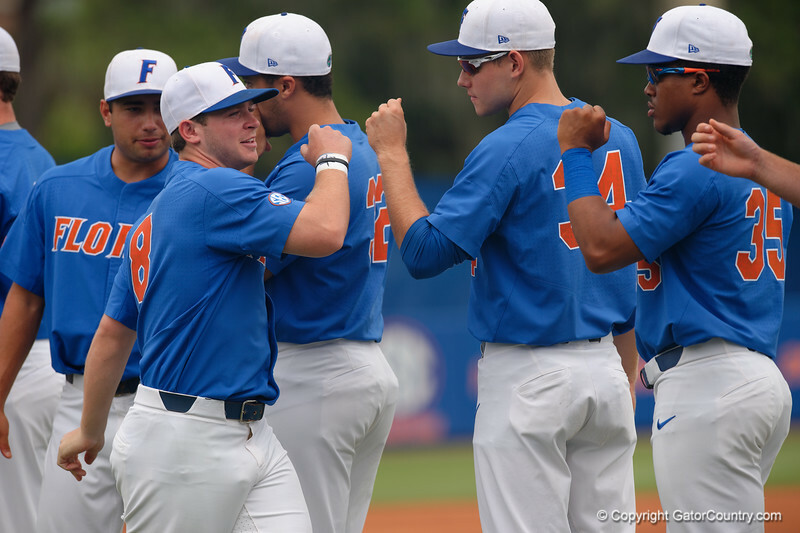 University of Florida Gators infielder Deacon Liput during player introductions as the University of Florida Gators host the Wake Forest Demon Deacons during Game 3 of the 2017 NCAA Super Regionals at McKethan Stadium. June 12th, 2017. Gator Country photo by David Bowie.